The Purple Platoon is Looking for Recruits! 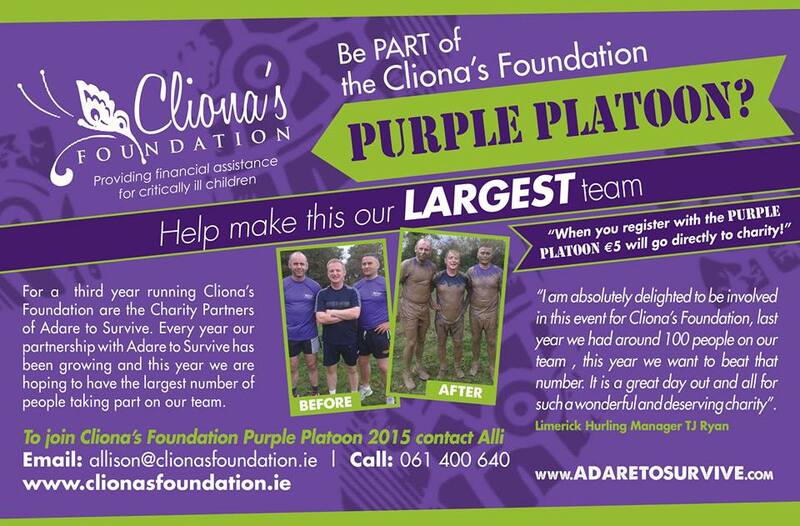 If you’re up for the challenge then complete Adare to Survive‘s 7.5km military style obstacle course with our Purple Platoon team. 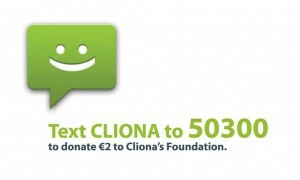 By joining the Purple Platoon, €5 of your registration fee will go directly to Cliona’s Foundation. You will be sent a combat pack that includes one of our purple running t-shirts, wear this to distinguish our division. Invite your friends, family and colleagues to join you on this mission and help make this our largest ever squad. Follow https://www.eventbrite.ie/teams/1334308/ for more intelligence and to register!